How did Victoria Claflin Woodhull (1838 - 1927) become the first woman invited to speak to the United State Congress, and then the first female to run for president. What made Tennessee Celeste Claflin (1845 - 1923) so beguiling that the richest man in America, Cornelius Vanderbilt, fell completely in love with her? What caused the sisters to live out their long lives as royalty and peerage in Europe. Victoria living as landed gentry outside of London, and Tennessee in a huge castle like a queen? Why aren't these empowered and independent women iconic in our culture? Volume One of The Victoria Woodhull Saga tells the poignant, lascivious, and compelling inside story of how the sisters worked closely with Cornelius Vanderbilt, who at age 74 fell in love with the beguiling 24-year old Tennessee. Victoria provided the titan of industry "Inside Her Information" gathered through the soiled sisterhood, the ladies of the evening working at the top seven brothels servicing the rich and famous of New York City. This relationship resulted in the great lion of industry having his last public roar as together they manipulated the financial markets and created the impending collapse of the U.S. economy in the gold scandal of 1869. To avert the crash, President Ulysses S. Grant provides the richest man in America insider information on the gold market and telegrams Vanderbilt that his railroad company is "Too Big To Fail!" Vanderbilt was proclaimed "The Savior of the American Economy" for intervening in a crisis he helped create. 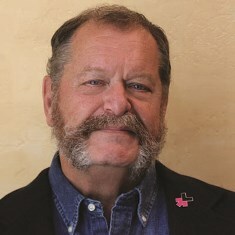 Neal Katz is a semi-retired, serial entrepreneur, CEO with a passion for women rights. He lives a life based on self-awareness and Love. He practices Yoga, meditates daily, has taught A Course in Miracles, produced Oregon wines, enjoys being a gourmet chef, recites Vedic sutras, and writes his own inspirational poetry. The saga of Victoria Woodhull appeales to Neal, as it serves three purposes. First, the story provokes public awareness of the historical and continuing denigration and subjugation of gender prejudice. Second, the tale exposes the historical basis for the manipulation of the free markets of stocks, bonds and commodities. Third, the story shows how existing financial and political power structures used prison and seizure of assets to prevent innovation and social change. 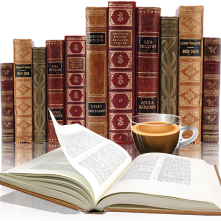 Victoria Woodhull overcame all these obstacles in a remarkable life. Neal chose to write in first person using Victoria s words, thoughts, and point of view to tell the tale, inviting the reader to see through her eyes. The style is magic realism along the lines of Allende, Marquez, and Kathleen McGowan (The Magdalene Trilogy). This is an expression of the HeForShe solidarity movement for gender equality championed by Emma Watson, and Neal proudly proclaims himself a male feminist! Neal has pledged fifty percent (50%) of his author's royalties from book sales and all ancillary revenues, including foreign print distribution and Hollywood rights to a foundation formed in tribute to Victoria Woodhull and her passion for woman rights. The foundation will promote and prove programs for the empowerment and sustainable economic improvement of women, especially single mothers. 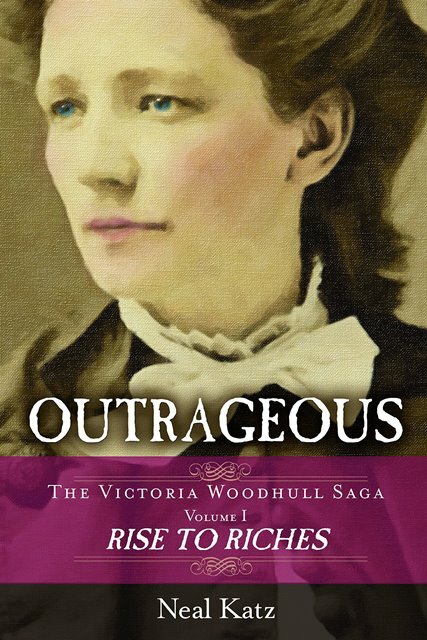 To win a signed Hardcover copy of Outrageous: The Victoria Woodhull Saga, Book One please enter the giveaway via the GLEAM form below. Five copies are up for grabs! – Giveaway ends at 11:59pm EST on March 11th. You must be 18 or older to enter.